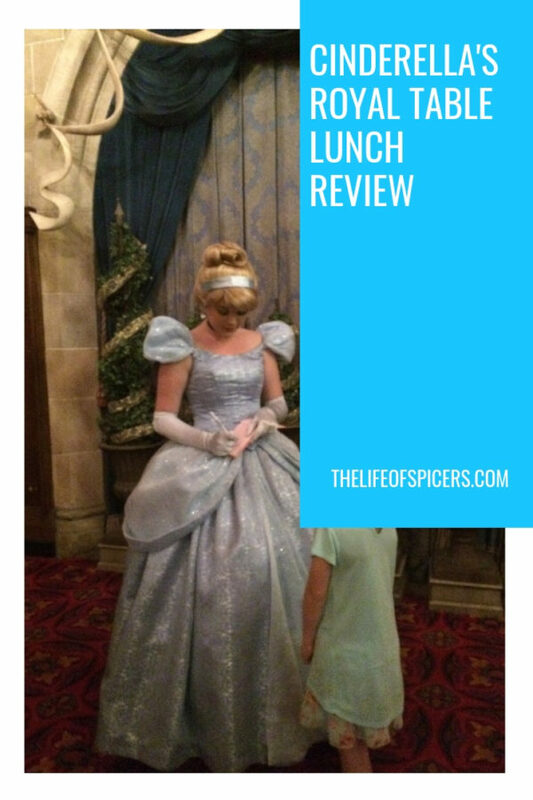 As part of Miss A’s birthday presents this year, we had given her a gift of lunch at Cinderella’s Royal Table in Magic Kingdom park. There was a gap of around six weeks between receiving the lunch invitation and the day arriving whilst we were on holiday at Walt Disney World. Cinderella’s Royal Table lunch takes place inside the castle on Main Street.. We pre booked this meal way back in January, as it’s advised that any character meal booking is made early as spaces go really fast. 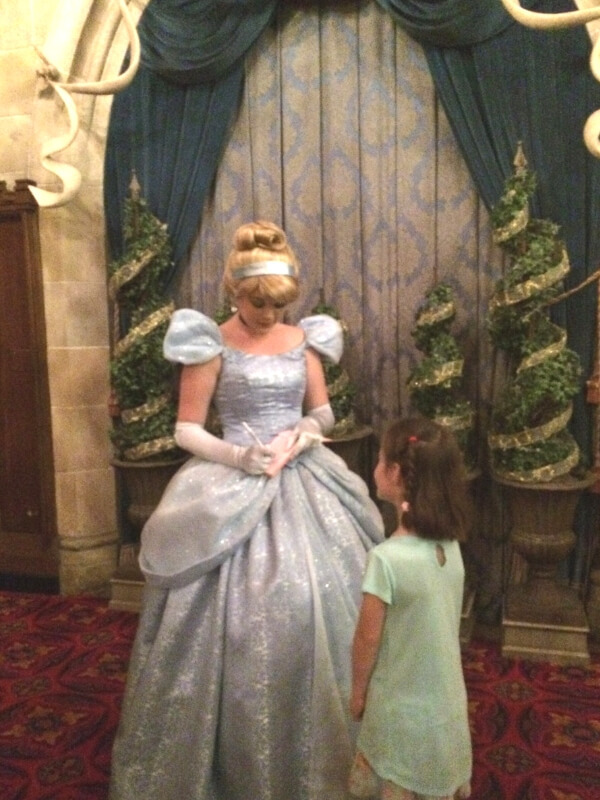 Part of Cinderella’s Royal Table lunch experience is to meet and greet with Cinderella before taking your place in the royal restaurant. Our booking was for 1.10pm, and we arrived to check in around twenty minutes prior to our booking as we weren’t sure how early we had to arrive to ensure we met Cinderella before lunch. The entrance to the restaurant is at the base of the castle, and can be a very busy area for a couple of reasons. It’s very shady and cool, acts as a walk way for people to walk through, and is also next to the Bibbidi Bobbidi boutique, which is another very busy entrance. It appeared that lunch sessions were taking place in five-minute intervals for bookings, and we were advised to check in ten minutes prior to our lunch booking. There were plenty of crowds with people seeking out a cool place to rest, and also people arriving early for their booking. There were even people hoping to get a table there and then, but all were turned away due to high demand. My only criticism for the waiting area is that there didn’t appear to be any system for people to queue which I was very surprised at. An attendant was asking people with certain booking slots to line up against the wall, but the lines were messy with the public milling about. Once checked in, we waited for a royal attendant to show us through to the castle. Around a corridor awaits Cinderella to greet the children. A small wait in line before autographs were signed and photos taken. We had opportunity to take the photos ourselves as well as a Disney Photographer taking shots. The system inside is sleek and well-managed. There is obviously a lot of people passing through for lunch, and the experience is designed to be magical for all the children (and adults). Up the Royal stair case to the restaurant, and we were seated immediately. The menu was three courses and a choice of three for each course. Drinks were included in the price we paid and were refilled before they were empty each time which was very impressive. A wand and star was waiting for Miss A at the table, and she was pre seated at the end of the table. We quickly realised this is to ensure the princesses can interact with the children without too much disruption to the table. Almost immediately after ordering, a sharing platter for the adults arrived which contained flat breads, hummus, and a balsamic salad with strawberries. It was all very tasty, and Miss A received a small salad bowl. 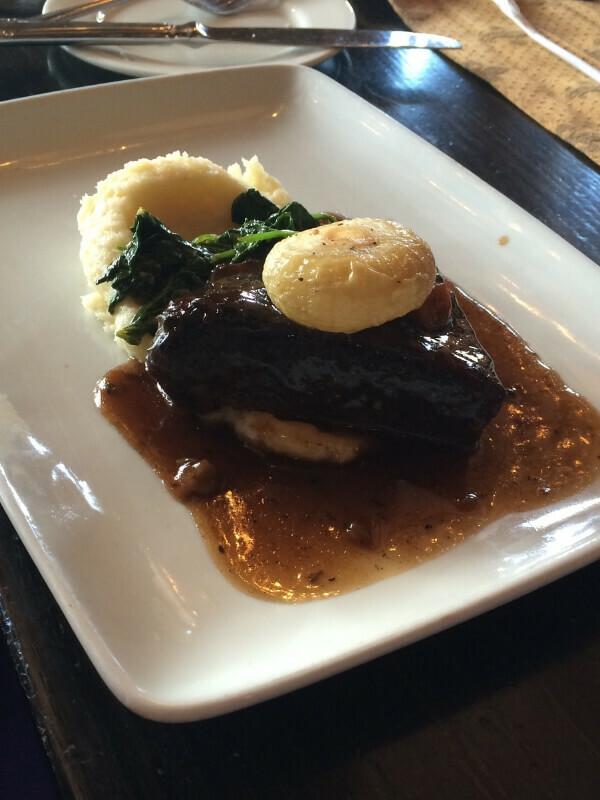 The choice of entre’s were a slow cooked beef with mash, pork with couscous, and a vegetarian rice / quinoa salad. We each had something different and for Miss A it was chicken nuggets with mash. The food we received was all cooked well, arrived in very quick time thanks to the pre ordering from a small menu, and was beautifully presented. Hubby had the beef and said it was gorgeous. 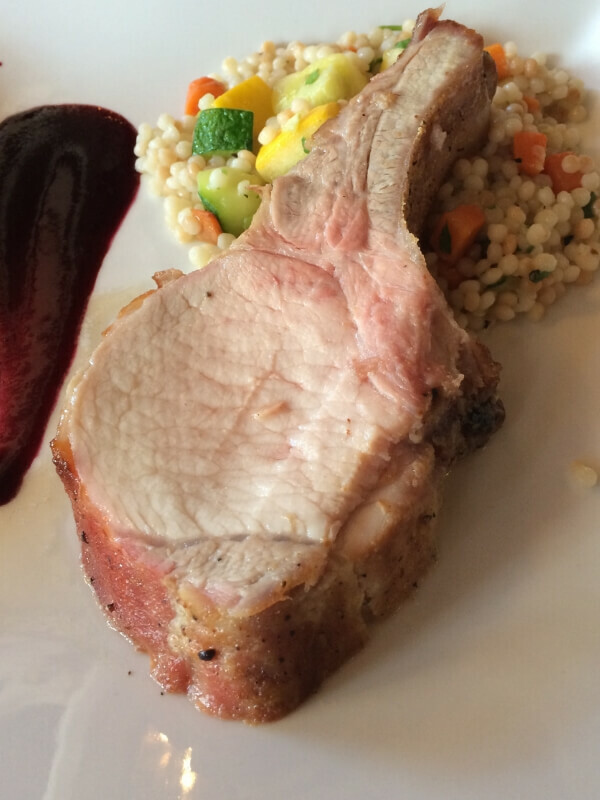 I chose the pork and wasn’t overly impressed with it, but I think it was the lack of sauce on the plate, and my impression of couscous wasn’t what I received on the plate. Don’t get me wrong, I enjoyed the meal, I just wish I had chosen differently. The rice salad looked gorgeous and our oldest daughter gave good reviews. Every few minutes after we were seated, a round of applause went up, and a princess arrived to tour the room. 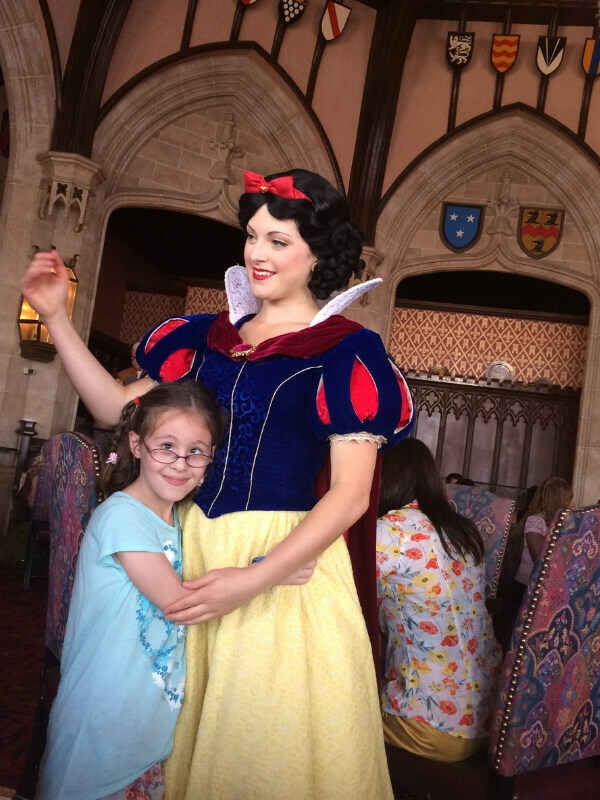 Each child received a few minutes with the princess, autographs and photos, so remember to take your autograph book and have the camera ready at the table. This process was cleverly done, and I’m in awe as to how they ensure every guest gets to meet the princesses with staggered booking times. We did notice that Miss A didn’t eat a lot of her meal as I think she was too busy looking around, and was obviously distracted by the princesses. The service was almost too good during the meal. As I mentioned drinks were replaced before they were emptied which was amazing, however I was a little disappointed to see plates being cleared from our table before everyone had finished. Miss A is a slow eater at the best of times, but with being distracted, she was even slower. I had my dessert in front of me before she had finished her meal which wasn’t quite right. 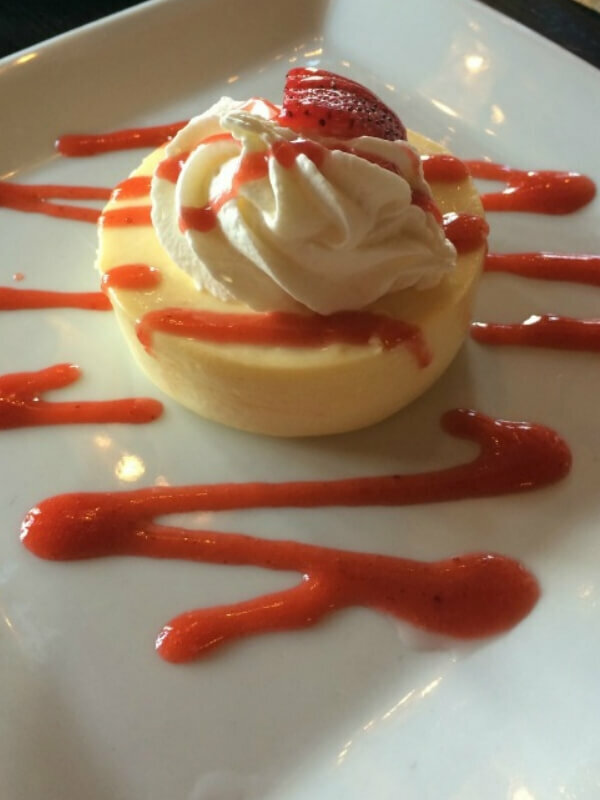 I can’t fault the dessert however, there was a choice of strawberry cheesecake or a midnight chocolate pudding. Miss A had a trio of mini ice creams with a selection of sprinkles to decorate herself. As Miss A was still eating her ice creams, our server cleared my dessert plate and said “Thank you, as you’ve pre paid, when ever you are ready”, before walking away with his stack of plates. I took this as the subtle sign to hurry up as they wanted the table for the next group. I was a little put out, but stepping back from being a parent and looking at Miss A’s face, she didn’t feel rushed, and the meal was just as much about the experience as it was the food and service. The meal itself wasn’t cheap and worked our at around $59 per person, however included in that price was the food, the experience, and the chance to meet five princesses without the queues. If we were on the Disney Dining Plan, the meal would have cost us two table service credits each. You can also enjoy a royal table breakfast or dinner inside Cinderella’s castle should you wish. 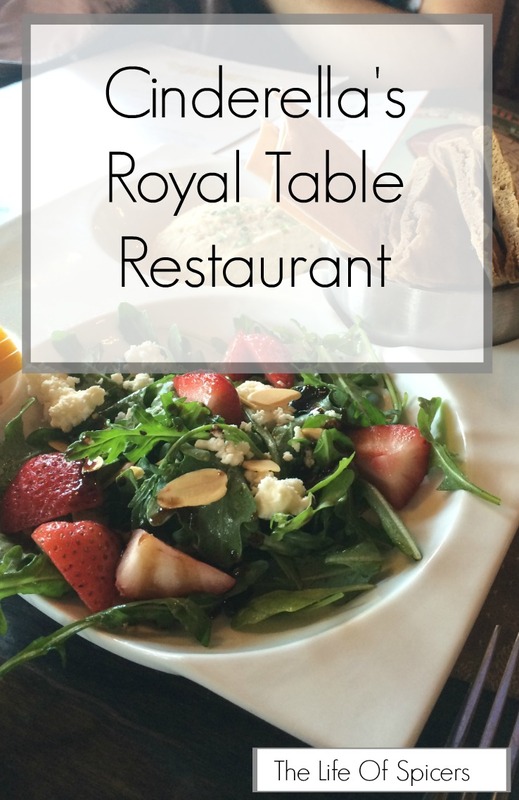 Would I eat at Cinderella’s Royal Table again? Definitely! We had a great dining experience. We’ve also eaten at Be Our Guest restaurant and Crystal Palace restaurant in Magic Kingdom. That looks like a fabulous experience, 7yr old must have been so excited!! Love her trio of ice creams. Food sounds great on general, just a slight shame at feeling a little rushed. Oh what a lovely experience for her! My 5 year old would absolutely love this. As I have boys this wasnt on the menu for us when we visited as they are not princess fans! Wow what a great birthday treat – definitely worth waiting for! We are trying to decide which character meal to go for when we are in Disney! You’re right – not cheap! But it sounds wonderful. I had no idea there was a restaurant inside the Cinderella castle. That looks magical! Not cheap but well worth it.